If you are planning to move into a new house, then make sure that you get your wall insulated before you move in. You can get your wall insulated for a number of reasons. Insulating homes is the utmost vital thing that increases heat efficiency of the home. An insulated home blocks the flow of heat to the outside and thus one save cost on electricity bill. With external wall insulation, you can save up to 30% of your cost of electricity bill yearly. Heating appliances consume lot of energy and if you insulate your wall, then you don’t have to spend much money on heating the home as insulated wall will block the transfer of heat. The amount of cost saves depends on the size and construction of the house. Apart from heat efficiency, wall insulation also protects the home for the growth of molds and other entities which are harmful to the structure of the building. A well insulated wall always holds a greater market value than a non insulated wall. It also protects the structure of wall from the natural elements of weather and thus elongates the life span of the home. 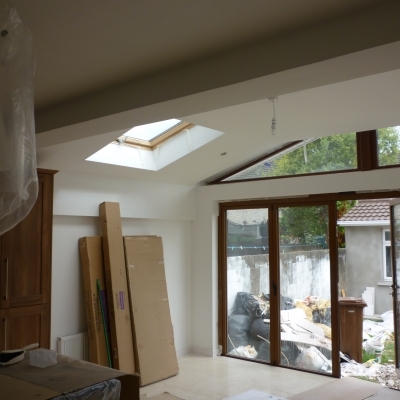 If you are looking for a reliable insulation contractor in Dublin that offers cost effective services, then you can rely on NF Plastering. The company is SEAI grant (sustainable energy authority of Ireland) and thus you can completely trust to them for residential or commercial wall insulation services.